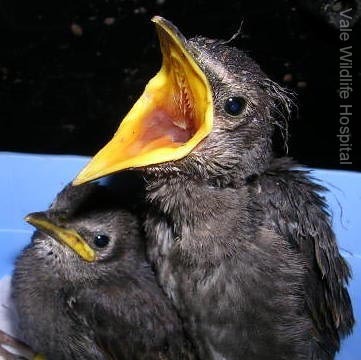 Starling babies – note the huge mouth of the younger one in the photo. 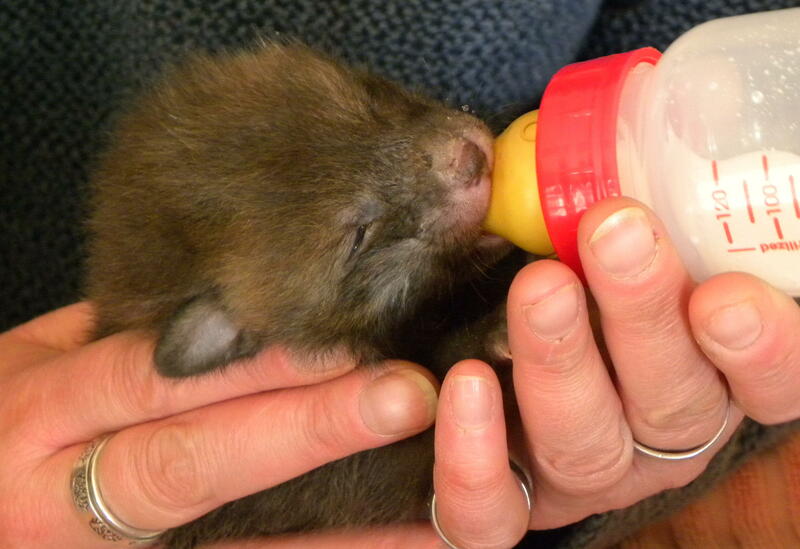 Fox cubs look more like puppies at a very young age. 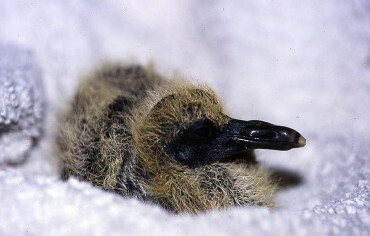 Believe it or not this is a baby pigeon! 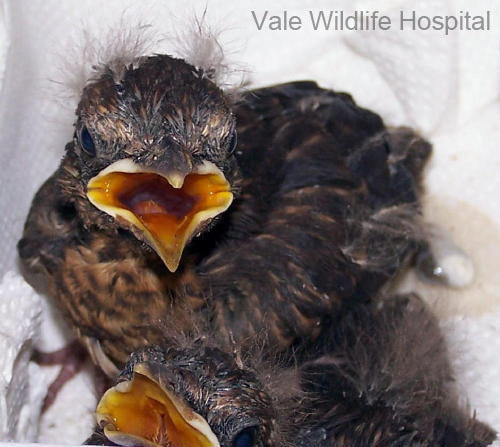 Blackbirds are often mistaken for thrushes when young. 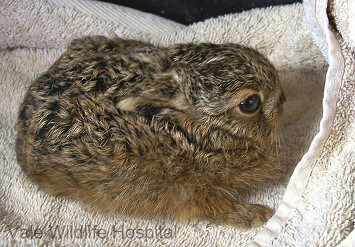 Leverets are born eyes open & fully furred. 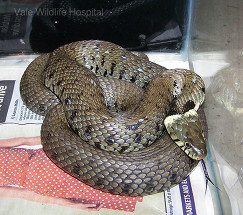 Compared to rabbits, their fur has a different texture & a wavy appearance.